PDF version, published by Academy of Islamic Research & Publications, Lucknow (India). Translation by Mohiuddin Ahmad. This book is a translation of the Arabic book As Sar’a bain al – Iman wal Maddiyah, which was later rendered in the Urdu Language and finally into English. Although not a commentary per se of Suratul Kahf of the Noble Quran, it is a profound exposition and exegesis of the message of the Surah. The book attempts to explain two concepts diametrically opposed to each other: one is materialism denoting the primary and objective existence of the external material world; and the other asserts the existence of realities which lay beyond the range of human perceptions, for example, the existence of [good]. 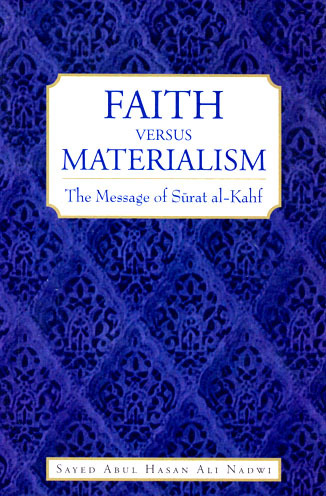 The book further explains the meaning and the purpose of Faith and warns against the denial of God and His authority. Four chapters in this book form the central theme, viz. 1. The story of the Companions of the Cave. 2. Parable of the owner of two gardens. Was the shaykh Abul Hasan Nadwi an Ashari scholar? The title of the book should be ‘bain al-Iman’ instead of ‘bain al-Imam’. Fixed the typo. Jazakallahu khair. Jazakallahu khairan for sharing the PDF.